Apart from Lotus Notes NSF file to MSG, the software convert NSF files in more than seven file formats. Fill information such as Title, Collection Path & description. Click on Add button. Click on scan file option and then select NSF file option and browse file from local storage. NSF to MSG Converter software scans & load file quickly for preview. Use software 8+ preview modes to analyze scanned files. The NSF File to MSG tool provides search option to find desired emails. Select NSF File or Folder to Export. Choose MSG file in destination. Apply export option such as maintain folder hierarchy, excludes duplicates. Then browse location to save msg file. Click on OK to proceed. Being the system analyst, I have more responsibility than any other member of the organization. The responsibility of providing perfect accessories is totally mine. Yesterday a staff came to me and told that he is facing the problem with its email client. It reports that he is unable to access the administrator database with error database is not authorized. I checked up for the proper solution on the internet but did not get any up-to mark answer. Then I decided to switch the email platform with complete data. Sometimes unwanted error has come unnecessarily which enforce extra burden on the user when he tries to convert database file of one email client to another file format. Can I convert bulk nsf file msg? Is there any option to remove the duplicates nsf emails? How can I search for specific emails using the software panel? Does the software create single msg file for each nsf emails? What happens if tool stop working in between the conversion process? The impact of technology is seen every where in our life. Without a technology, you can’t imagine your single day. The technology has positive or negative aspects both. As it makes our life easy on the other hand we depend on technology for every work. Sometime it affected your work and productivity as well. The above scenario is the well-set example of this. But you do not need to worry because there is perfect technology available for your technology related problem. NSF to MSG Converter is the most prominent tool to convert nsf emails to msg file format. It contains various splendid features which make conversion of nsf emails to msg easy & productive. With the help of NSF emails to MSG Converter, you can convert bulk lotus notes nsf emails to msg and there is the option available for removing duplicate emails. It creates single msg file for each of nsf emails. It resumes it works from where it left before the accidental shut down. Will I be able to convert emails from multiple NSF files? Yes, you can convert messages from any number of NSF files. The Export NSF file to MSG software allows adding multiple NSF files at a time for conversion of emails to MSG format. Is there a possibility to convert emails of certain folders only? Yes, you can convert NSF file to MSG selective folder by choosing them from the export window. You can use checkboxes provided against each folder listed in 'Select Folders' section of the export window. What can I do to avoid converting the repeated emails? When converting NSF file to MSG just select the checkbox for 'Exclude Duplicates' to avoid converting duplicate emails from NSF file. Can I export selected data from NSF file to MSG? How can I convert just the emails received from a client? Use the search option featured by the NSF to MSG converter download software to look for emails received from the particular client. Convert searched emails directly from the search panel itself. There are plenty of applications in online market yet none like NSF to MSG Converter. I personally like the tool because it let me find my NSF files and load them all at once. It was so convenient to perform the conversion. I hardly had to do anything. As there is no traditional method available by you can convert nsf emails to msg. There is the definite need for a third party solution like NSF to MSG Converter. It allows the bulk conversion of lotus notes emails to nsf quickly and efficient manner. 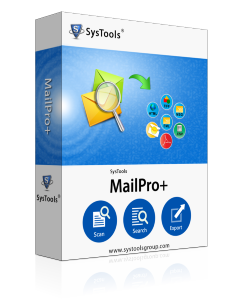 It has the features like Maintains folder hierarchy, Excludes duplicates emails, Multiple naming conventions, powerful search option etc.